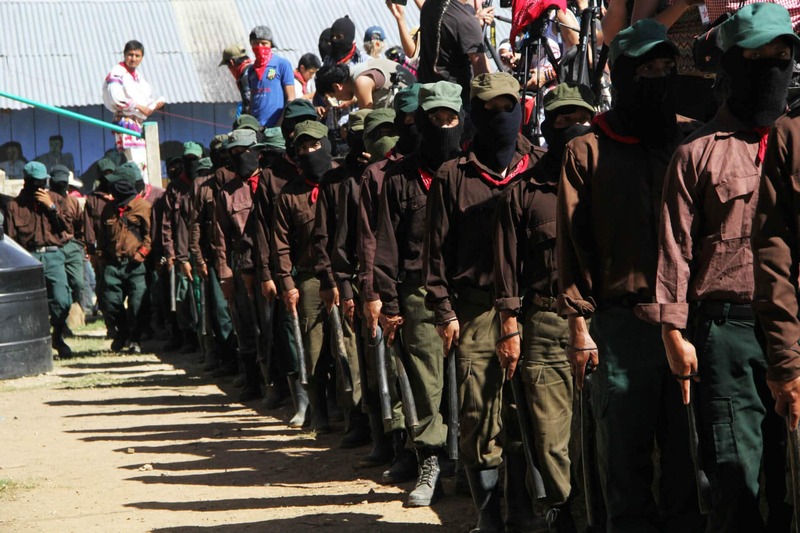 The Autonomy Solidarity organization explains that the Zapatista are “At great risk” now that the Mexican state is under the leadership of AMLO, who is preparing “To unleash a series of massive development projects into the heart of Zapatista territory and throughout indigenous lands across the country.” The group goes on to explain that “Simultaneously, a malicious disinformation campaign is being used to delegitimize the EZLN and erase the work they have done during their 25-year struggle to inspire and support other struggles across Mexico and the world”. The warning should not come as a total shock to those who have been paying attention. For some time, Indigenous groups have been expressing public resentment toward the mega-projects AMLO has supported or co-signed, criticizing the lack of prior and informed consent for projects which affected or traversed through their territories. Many have designated AMLO as “more of the same”. 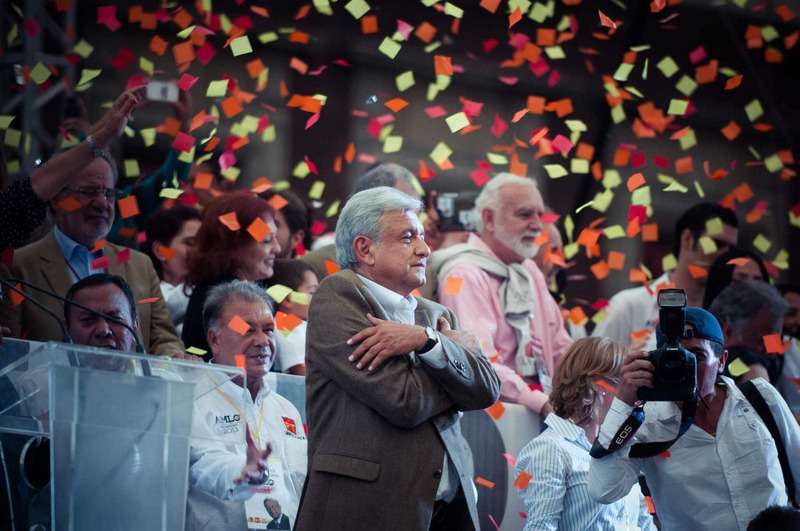 AMLO, who ran as an anti-corruption candidate, has been widely viewed as a harbinger of much-needed progress in Mexico. He also garnered a lot of international attention during his campaign. Yet, he was never the real underdog in Mexico’s 2018 presidential race. Maria de Jesus Patricio Martinez – often referred to as Marichuy – serves as the spokeswoman for the political branch of the EZLN (Zapatista National Liberation Army), and made history by running as the group’s presidential candidate in 2018 on a platform which sought to completely supplant the old guard. Martinez was also unique in her candidacy, being a Nahua Indigenous woman who promised to represent the chronically underrepresented impoverished peoples of Mexico; she made a strict pledge not to accept any government funding for her candidacy. Surprisingly, Mexico’s campaign finance laws are stricter than some other countries – such as the United States – and, private contributions are ostensibly limited. However, to what degree political candidates comply with such regulations is highly suspect. Illegal campaign contributions are also considered a norm. Ultimately, AMLO was chosen for the office of president. Mexico, it seemed, was looking for a familiar kind of progress. In response to the Zapatista’s warning, the Autonomy Solidarity organization sent out a request for international solidarity in the form of a petition that is already backed by several notable figures including the highly respected Indigenous Rights defender, Winona LaDuke. “We, intellectuals, academics, artists, activists and others in solidarity, as well as organizations, associations and collectives from across the world, express our solidarity with the Zapatista Army of National Liberation (EZLN) in this critical moment in its history, and condemn the ongoing campaign of disinformation, lies, and slander directed against the Zapatistas. We call on all good-hearted people to see through the current wave of disinformation about the Zapatistas and about the proposed mega-projects, and to be alert to the imminent risk of aggression against Zapatista communities and other indigenous peoples”. Academic and activist, Ruth H. Matamoros Mercado, expressed some concern about how the statement being circulated about AMLO, abstracted from its context, was being used by others in a divisive manner – specifically, outside entities appropriating it to falsely imply that there was an inherent opposition to leftist governments from Indigenous Peoples “without really understanding what the Zapatista’s discourse is really about”. Mercado credits the Zapatista with how, “they managed to break the usual left/right binary” in challenging an entrenched and corrupt political system. “…to understand the Zapatismo before the governments of Mexico, one must go to the heart of their resistance. Zapatista resistance is anti-systemic, therefore no State government, from the right or the left, will ever represent the real interests of indigenous peoples and their struggles in favor of the earth, their territories, their biodiversity, and collective and autonomous rights. “A megaproject called the ‘Mayan Train’ is currently underway that was seen by AMLO as progress, and will be carried out from the state of Chiapas to the state of Quintana Roo to cover the entire cultural area of the Maya peoples, benefiting the interests of entrepreneurs who profit from cultural tourism for the usufruct of the Mexican State in terms of income, investments, concessions and taxes thanks to the millionaire business of tourism and its services. This project, for example, will not only lead to the dispossession of indigenous lands and the destruction of indigenous territories, but also threatens biodiversity. For that reason, the economic projects directed and approved by the governments of Mexico will always be a threat against the ways of life and biodiversity of the indigenous peoples because they are generated from the logic of capital and for usufruct of the national and international capitalists”.